Our very own, in house creation! 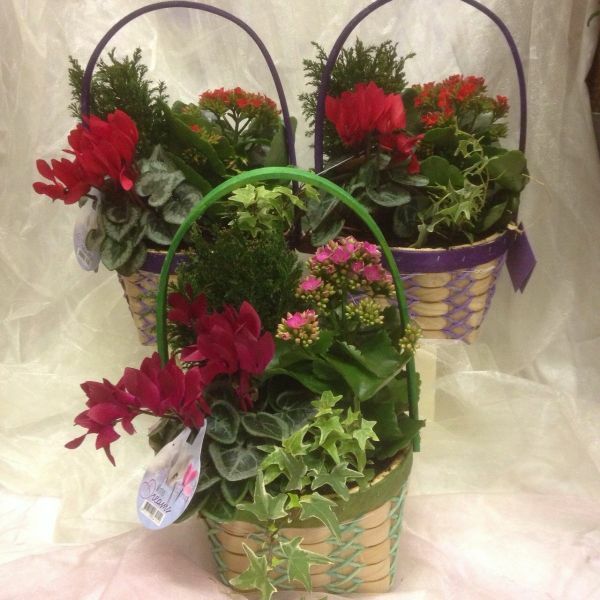 These lovely colourful baskets are lined and filled with lots of pretty seasonal plants. Perfect for garden enthusiasts or for those that would appreciate a little indoor garden, that should they wish, can plant outside later. Due to seasonal availability and supply factors, individual plants may vary. On occasion we may be required to make seasonal substitutions which we endeavour to do with flair and consideration to the original colour scheme, without compromise to the overall design of the arrangement. Sundries may vary to that shown.